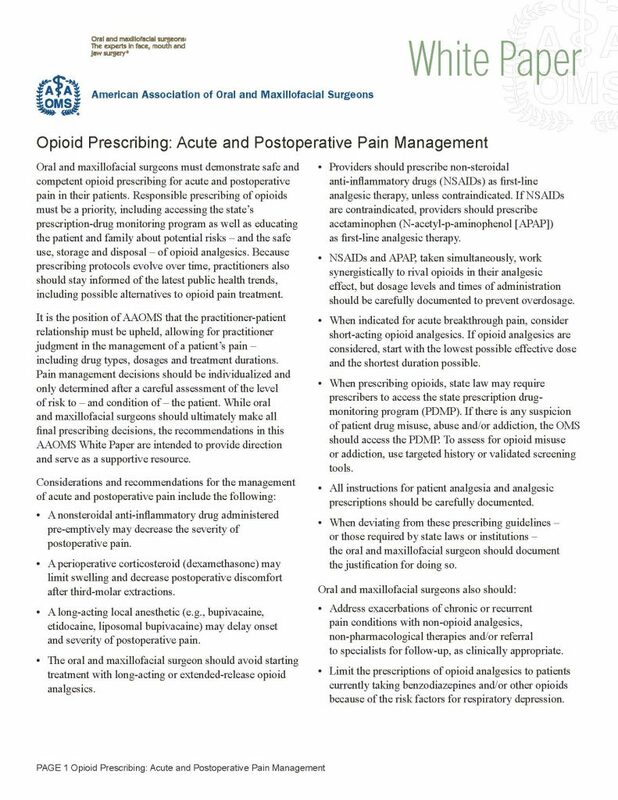 Preemptive medications through their IV prior to surgery: non-steroidal anti-inflammatory drugs (NSAIDs) such as toradol, and / or corticosteroids such as dexamethasone and / or medrol dosepak. Prescriptions for acetaminophen (Tylenol) combo drugs to be used in conjunction with prescription strength NSAIDs (Ibuprofen or aka motrin 600-800mg), which synergistically help the effectiveness of each other, reducing the need for opioid medications. We recommend that patients alternate between these two classes of medications for the first two days and then to gradually come off these medications after the second day. As a result, I have rarely had to refill opioid prescriptions, on rare occasions for a second time, but never a third time; as studies show that patients that request a third refill are more likely to be drug abuser. If any any point there is suspicion of drug abuse, we are required by law to check the national database for the patient in question, which shows all the medications that have been prescribed to the patient in the past. I have never had the need to provide long-lasting and time released opioid such as oxycontin in our office. Each patient is provided with verbal and written instructions on how to take all their medications, with emergency after hours contact information. 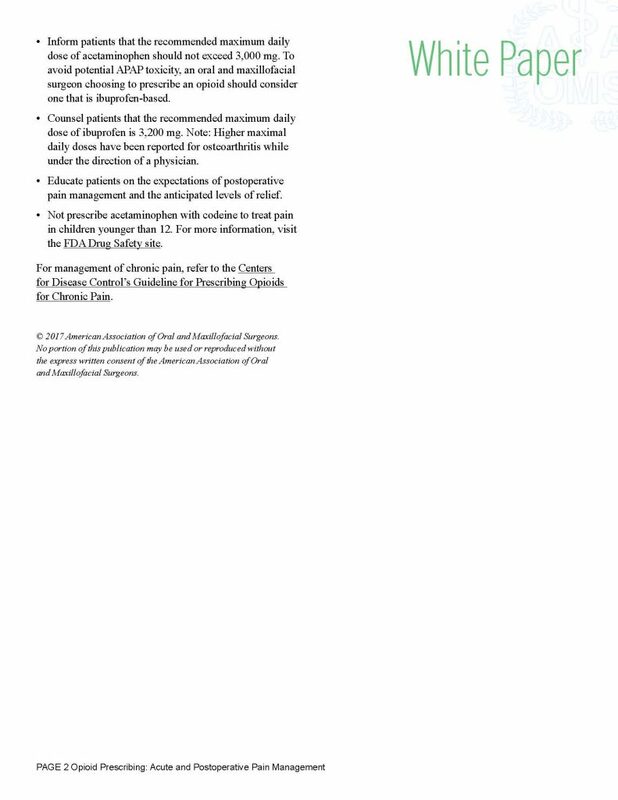 See the “white paper” below.